It's Almost 2008...and Definately Time to Celebrate! Among the many awesome events that occured within the past 12 months, my favorite memory/memories were in the month of August...and no I'm not talking about my birthday (which was fabulous by the way!). I am an avid music lover and concert-goer, so the Summer of Unity Tour courtesy o f 311 was the highlight of my year! As a super-fan, I traveled to San Diego, then Irvine the following night, to see my favorite band play--a ritual for me. I would've gone to see them in Santa Barbara and Las Vegas as well, but I value my job! As always, 311 was amazing. They have not put on a bad show since I began adoring them around 11 years ago. Of course, I highly recommend catching one of their concerts. Other notable shows included: The Police, Unwritten Law, Incubus, and O.A.R. Join The Gossip...No, Really...Do It! Hello everyone! A staff writer for Beauty Chat (which is a fabulous site you should be visiting and reading regularly, especially the amazing Project Runway posts ;)...hint hint), I decided to take my love for journalism and create my own blog. 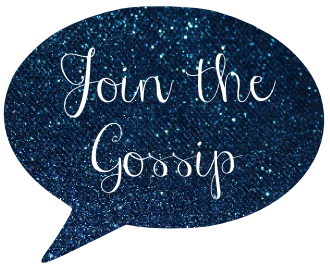 So, I happily invite you to Join The Gossip! Being a random person that tends to think, talk and write about anything and everything, I assure you that my blog topics will be all over the map. And on a sappy note, I want to thank my editor, and friend, Elana. An inspiration to all (in a variety of ways), she has helped me take my love for creative writing to a whole new level--blogging. Thanks Miss Talking Chic! CHEERS! And let's make some chatter!